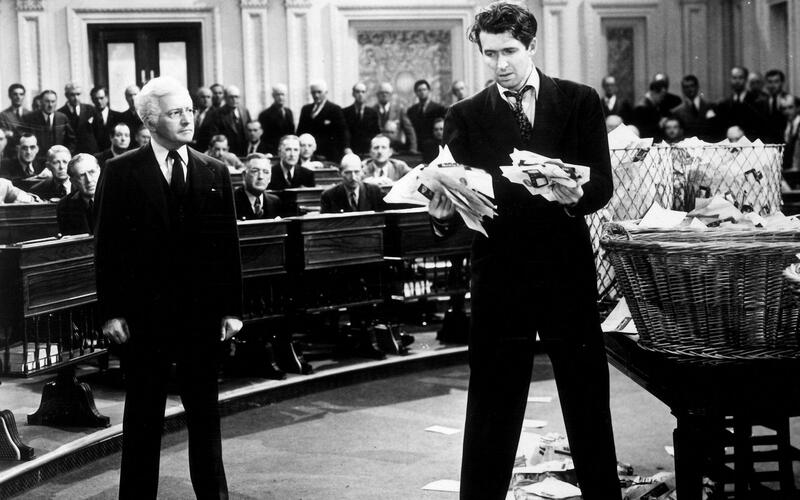 In 1939, Frank Capra released his most ambitious film yet about a noble everyman who is called upon to fill the seat of a newly deceased US Senator. In the lead was a relative nobody named James Stewart whose performance would cement the first brick on his path to becoming a cinematic icon. Also for the ride were Jean Simmons and Claude (explitive) Rains* as the film not only became a sensation with critics and audiences, but became one of the most intimidating films for fascist regiemes of the time. But is the film a paradigm of democracy or should it be called to order? Eric, Kent & Lobster have the best seats to the procedings.